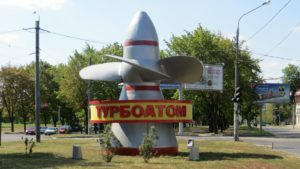 JSC Turboatom (Kharkiv), the largest manufacturer of turbine equipment in Ukraine, 75.2% shares of which belong to the state, tentatively saw UAH 764.235 million in net profit in 2018, which is 7.6% more than in 2017. Thus, Turboatom’s net profit target being UAH 763.166 million was slightly exceeded. According to an agenda of the general meeting of the company’s shareholders scheduled for April 17, 2019 and posted in the information disclosure system of the National Commission for Securities and the Stock Market, retained earnings as of January 1, 2019 totaled UAH 3.629 billion. The issue of distributing net profit for 2018 and the approval of annual dividends was put on the agenda of the meeting. The draft minutes of the meeting has several options for profit distribution, in particular, to send 90% of net profit to pay dividends (UAH 687.75 million) and 10% to cover expenses foreseen in the financial plan for 2019 or to send 80% and 20%, 75% and 25% and 50% each respectively. According to the report, in 2018, Turboatom increased current liabilities by 11%, to UAH 1.715 billion and noncurrent liabilities fell by 17.8%, to UAH 253.07 million. Total receivables remained almost unchanged, being UAH 1.457 billion. Assets grew by 4.6%, to UAH 7.555 billion. Net worth as of early 2019 accounted for UAH 5.587 billion, including UAH 105.62 million of the charter capital. The financial plan of Turboatom for 2019 foresees net profit to be UAH 798.3 million and net revenue UAH 2.737 billion. 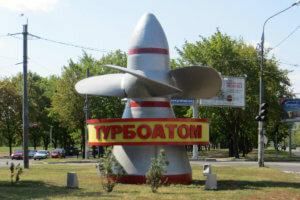 Turboatom is the sole producer of turbine equipment in Ukraine for hydro, heat and nuclear electricity stations. The enterprise supplies its products to 45 countries in Europe, Asia, Americas and Africa. 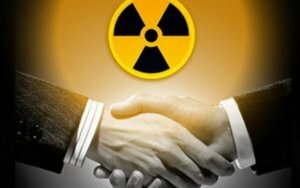 Kharkiv-based JSC Turboatom and Westinghouse have extended a memorandum of understanding in the nuclear energy sphere for one year. The press service of National Nuclear Generating Company Energoatom reported that the document was signed on November 7, 2018 by Turboatom Director General Viktor Subotin, Westinghouse Vice President and Managing Director Aziz Dag and Energoatom President Yuriy Nedashkovsky during the international fuel and energy forum held in Kyiv. “The memorandum of understanding with Turboatom includes cooperation under the Ukraine-EU Energy Bridge Project. According to the memorandum, Turboatom will provide products and services for the turbine part of the project. Yesterday, the expansion of the current memorandum for another year was signed,” Dag told Interfax-Ukraine. 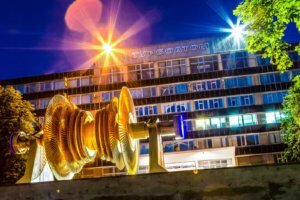 As reported, Westinghouse within cooperation with Turboatom continues to discuss preparations for the implementation of programs to increase the installed capacity of VVER power units and the capability utilization index, while activation of cooperation is possible when launching the Ukraine-EU Energy Bridge Project. The government decided to implement the Ukraine-EU Energy Bridge pilot project in June 2015. The project envisages organizing the transmission of power from reactor two of the Khmelnytsky NPP to the EU power grid. The funds received from electricity exports from this reactor are planned to be used to finance the construction of reactors three and four of the Khmelnytsky NPP. A consortium of companies, consisting of Westinghouse Electric Sweden AB, Polenergia International S.àr.l. and EDF Trading Limited, announced their intention to participate in the project of arranging the Ukraine-EU energy bridge. Kharkiv-based JSC Turboatom and Japanese Toshiba Energy Systems & Solutions Corporation have signed a memorandum of understanding in the field of nuclear energy, the press service of SE NNEGC Energoatom has said. The companies agreed on the beginning of cooperation aimed to implement projects of turbine equipment modernization of machine halls at nuclear power plants (NPPs), it said. “The cooperation between Turboatom and Toshiba will be based on high potential and great experience of both companies in studying and realizing new engineering and technical solutions in the field of nuclear energy,” the press service said in a statement. According to Turboatom’s CEO Viktor Subotin, his company together with Toshiba will soon determine priority projects and will be able to agree on a plan of joint actions at the 10th International Economic Forum in Kharkiv in September. “Our company implements large-scale programs for improving safety, reliability and performance of the power units at Ukrainian NPPs. I am confident that the cooperation of our partners, Turboatom and Toshiba, will contribute to the development of energy engineering in Ukraine and consequently boost the efficiency of modernization of the Ukrainian NPPs’ equipment,” Energoatom President Yuriy Nedashkovsky said. “The signed memorandum is a step that gives the possibility to contribute to the uprate of energy equipment for Ukrainian NPPs as well as for nuclear energy facilities in other countries. I am really happy that Toshiba will contribute to making more complete decisions in the field of nuclear energy together with Turboatom due to the fact that our companies are leaders in NPP equipment manufacturing,” Vice President of Toshiba Energy Systems & Solutions Corporation Goro Yanase said. As reported, a memorandum of understanding in the nuclear power industry was signed between Energoatom and Toshiba Energy Systems & Solutions Corporation in October 2017 to develop cooperation on the modernization of turbines and generators at Ukraine’s nuclear power plants. Turboatom is the only manufacturer of turbine equipment for hydro, thermal and nuclear power plants in Ukraine. It exports commodities to 45 countries and regions in Europe, Asia, America and Africa. JSC Turboatom (Kharkiv) has supplied two steam turbines to Armenian NPP. These turbines are the key equipment for the modernization of the NPP foreseen in the program of expanding its lifespan. The external press service of Rosatom in Ukraine reported that on June 1, 2018, the Armenian NPP will be stopped for modernization and extension of the lifespan of its reactor two. Rusatom Service, part of Rosatom, acts as general contractor for modernization. The turbines were delivered in several stages: by land to the port in Chornomorsk, than by sea to the Poti port (Georgia) and then by rail to the NPP. The cost of the turbines is not disclosed. According to the report, in 2019, Ukrainian enterprises would supply a new batch of equipment for the NPP to Armenia, in particular, Zaporizhtransformator will transport an oil-cooled transformer.